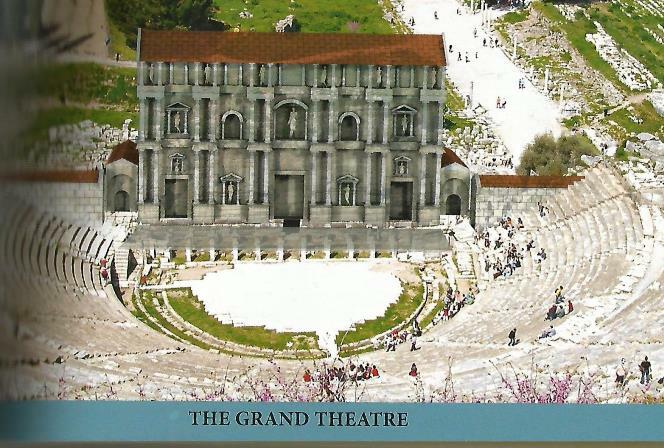 To be truthful, the Ephesus theatre is not my favourite place. I feel detest for this prominent ruined structure of the ancient Greco-Roman city, because it was also the scene for gladiator and animal fights. I don’t want to pay homage to a place, where unnecessary death and pain reigned simply for the pointless pleasure of human beings. Having said that, the natural course of human evolution has buried those days, and now, the Ephesus theatre is one of the largest surviving relics from the Roman world therefore attracting much admiration and respect. 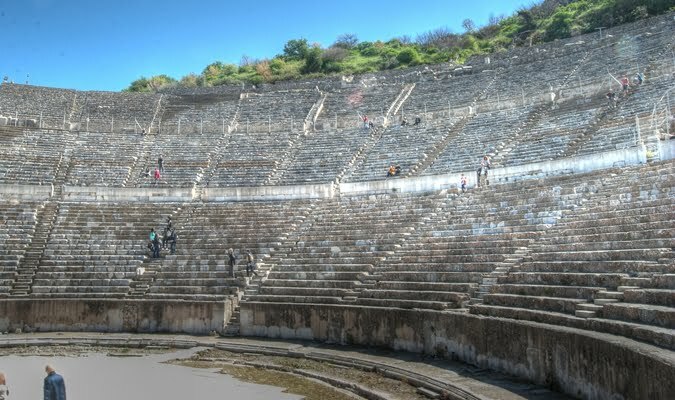 Sitting on the Aegean coast of Turkey, near Kusadasi and Selcuk, if we are also to believe Biblical stories, the theatre that was originally constructed during the Hellenistic period and enlarged by the Romans was also the place that catapulted a series of events to lead Saint Paul being run out-of-town! So along with its historical importance, it also has religious significance and deserves an article dedicated purely to itself. Estimations are that it could seat 24,000 people, which is roughly half the amount of today’s modern football stadiums. This seems unbelievable since Roman citizens didn’t have the modern technology that we do but if you look down on the theatre from the top steps, the size becomes more prominent to the human eye. On my three visits to Ephesus, I have only climbed to the top once. Last time, after walking the rest of the city, under the hot summer sun, I had no desire or intention to wear myself out. A view from the stage area was enough, and perhaps more symbolic to modern times since it has also been used before by singers and musicians like Sting, Pavarotti and Elton John. All of them would have enjoyed the powerful acoustics formed by the 30 metre high half-circle layout of the theatre. If you emerge yourself in the scene depicted in this story, it provokes a vivid image of how thousands of people would gather in the theatre and prompt each other into states of euphoria from the gladiator or animal fights, minds of clever thinking from the political discussions or in Saint Paul’s case, pure hard-core anger. The people started shouting “Great is Artemis of the Ephesians!” and gathered en-mass in the theatre, demanding Paul show his face, but his disciples, fearing for his life advised him to stay away. Shortly after that, Paul left Ephesus because of fears for his safety although some claim he was imprisoned there. 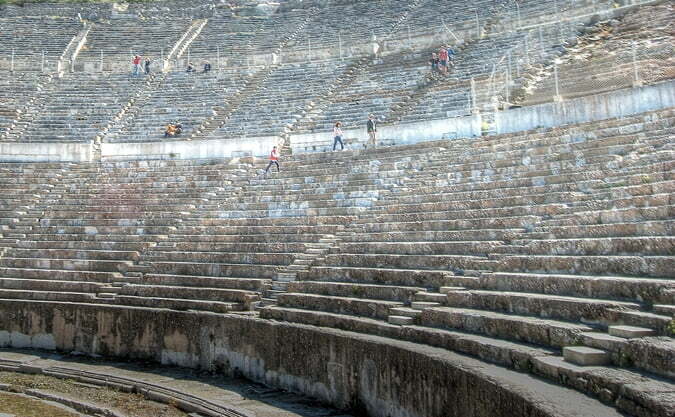 When you visit Ephesus theatre, imagine that story, whether you are religious or not. I guarantee that instead of feeling like you are looking at a pile of ancient stones, you will instead realize the social and political importance of what was the heart and soul of Ephesus, one of the greatest cities of human history.